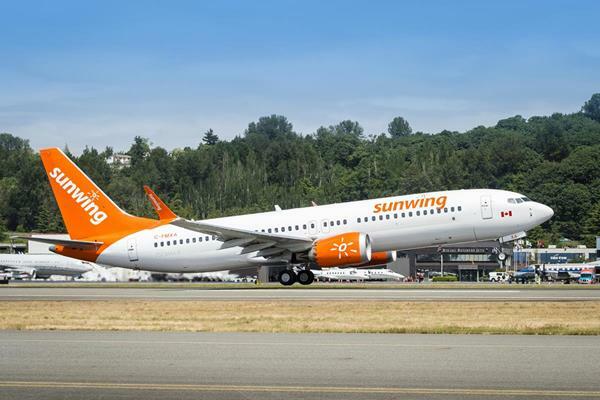 Candian holiday airline Sunwing will be offering a weekly non-stop direct flight service from Vancouver to Liberia in Costa Rica this coming winter. The flights will operate on Sundays between December 23rd, 2018 and March 31st, 2019. The flight service is anticipated to be operated on the airline’s new Boeing 737 MAX 8 aircraft. Once it commences, Sunwing will be the only carrier offering this route direct from Vancouver. President of Tour Operations for Sunwing, Andrew Dawson, commented on the news. "We’re very pleased to be introducing Costa Rica for the coming winter. As well as being renowned for its eco tours and adventures, this popular destination also stands out for the quality of its accommodation. With this new service, our Vancouver customers will be able to choose between two of our consistently most popular top-rated resorts, Riu Palace Costa Rica and Riu Guanacaste, or be among the first guests to experience the new Planet Hollywood Costa Rica, opening this fall. As an added benefit, we will be operating the flight service on our new Boeing 737 MAX 8 aeroplanes. The improved fuel efficiency of the MAX will also enable us to offer an increased number of direct flight services from our Western airports." Home to lush rainforests, volcanoes and waterfalls, Costa Rica is an eco-paradise that boasts a perfect combination of relaxation and adventure. Vacationers keen to explore can take advantage of numerous Sunwing Experiences to discover its natural attractions: from getting up close to its diverse wildlife to ziplining through the rainforest to relaxing in natural spas that feature volcanic mud baths and saunas. As the first ever all-inclusive luxury resort for Planet Hollywood, Planet Hollywood Beach Resort Costa Rica promises to combine upscale accommodation, dining experiences and entertainment with the latest technology: from interactive touch-screen digital displays narrating the memorabilia experience to in-suite personalized playlists, Hollywood lighting and more. Plus, travellers can Vacation like a Star™ with generous inclusions ranging from gourmet and speciality dining, access to a Beach Club, 24-hour room service, unlimited high-speed Wi-Fi throughout and much more. Situated on a peaceful beachfront surrounded by verdant mountains, Riu Guanacaste is set in lush gardens and benefits from an inviting free-form swimming pool with swim-up bar and submerged loungers. Guests enjoy an array of included water sports and activities together with a daily RiuLand Kids Club and tranquil Renova Spa. 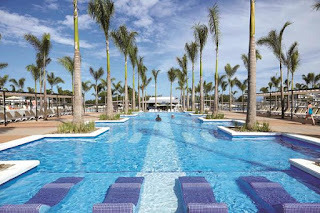 Vacationers who opt for the neighbouring Riu Palace Costa Rica enjoy access to all amenities at Riu Guanacaste together with their own exclusive pools, beachfront, restaurants (ranging from Italian to contemporary fusion), premium drinks and enhanced amenities. Vacationers at both resorts enjoy RIU®-topia inclusions such as unlimited à la carte dining, spa discounts and in-room liquor dispensers, while Riu Palace guests can look forward to lavish extras such as daily champagne breakfasts, pool waiter service and more. All vacation packages include return flights on Sunwing Airlines where passengers can look forward to starting their vacation off in style with award-winning in-flight service that includes a welcome sparkling wine toast, buy on board Sunwing Café menu with selections inspired by Food Network Canada Celebrity Chef, Lynn Crawford and backpacks for children filled with games and toys.